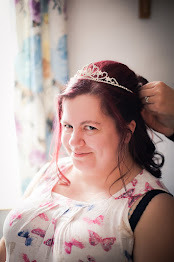 I did take my own photo of the Always By Your Side Pandora charm, however when I came to edit it, it was so blurry and out of focus I just couldn't use it! 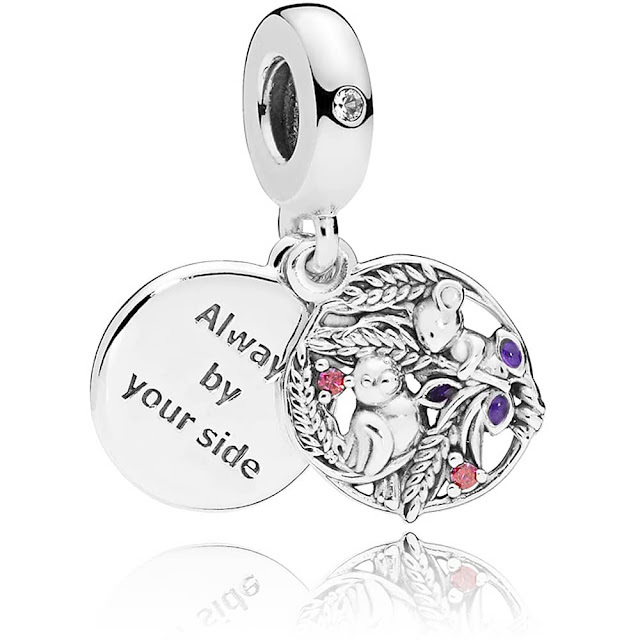 Anyway, this charm holds a lot of meaning and significance for me. 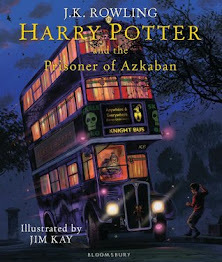 It's one I've wanted for a while, and it means an awful lot to me. Next up are a few Poundland hauls. 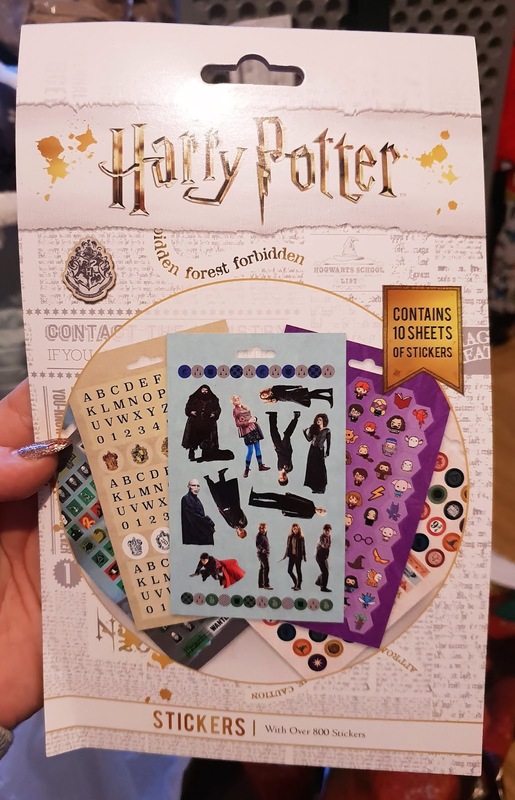 I do love a Poundland haul - the Harry Potter stickers were an especially fab find! As was the cutest pen pot I've ever seen. 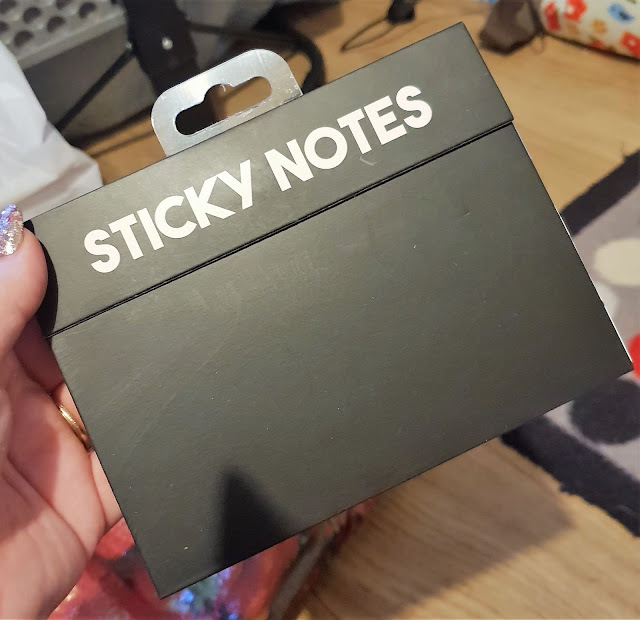 These sticky notes were another Poundland find. Poundland is a funny place. Sometimes I go in there and come out empty-handed. Other times I come out with more bags than I can carry and an empty bank account! Another magazine to add my stack. 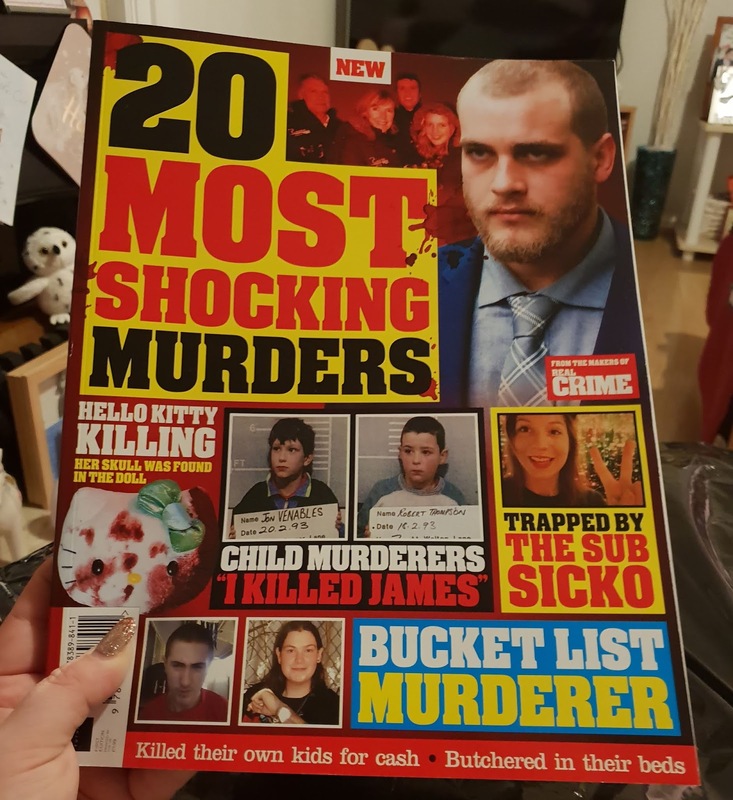 I love true crime, and really enjoy these bookazines. 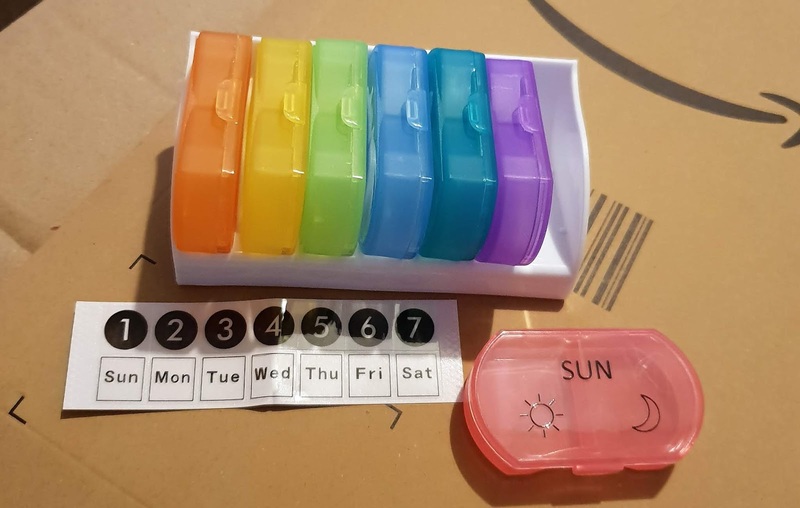 I've been put on blood pressure tablets to help with my anxiety, and I have to take them at certain points throughout the day, as well as before bed. So I decided to order a pill box from Amazon to help me keep track. This one has a morning and evening segment, which makes life easier. I can easily see at a glance what I've already taken and what I still need to take. 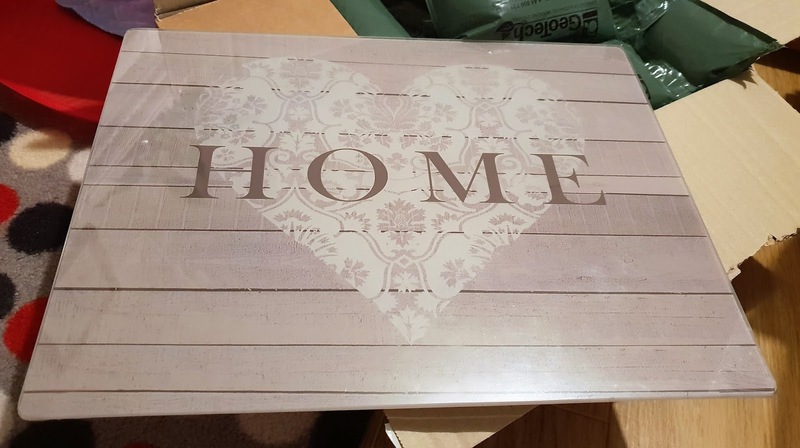 I also ordered a glass chopping board whilst on Amazon because man, decent looking glass chopping boards are hard to find. I've tried Asda, Sainsbury's, Tesco, B&M, Home Bargains. They either have none, only ugly ones, or expensive ones. Thankfully, Amazon came through for me. 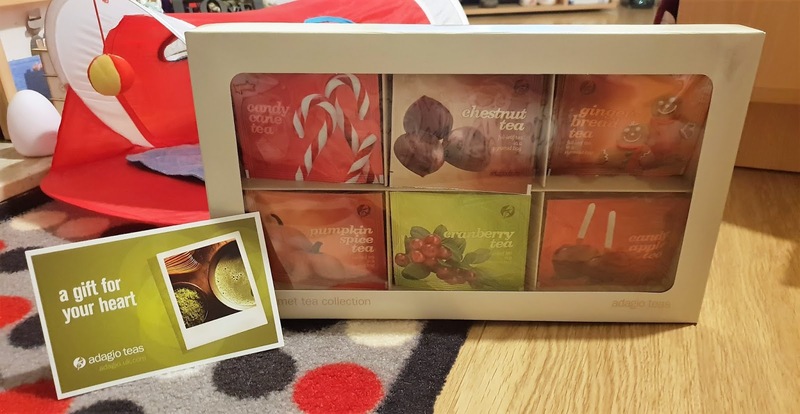 This gift box of tea was sent to me from Adagio Teas as a Christmas gift, which was lovely and v unexpected. Eek. Ted Baker is my fave at the moment. 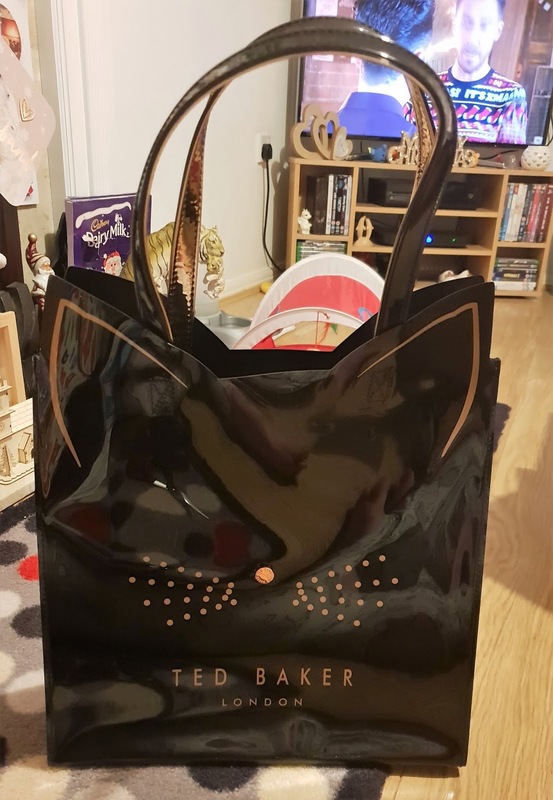 I've wanted the Ted Baker Cat Icon Bag for ages. So when Ted Baker had a sale on online, I grabbed the opportunity to pick one up for a steal. 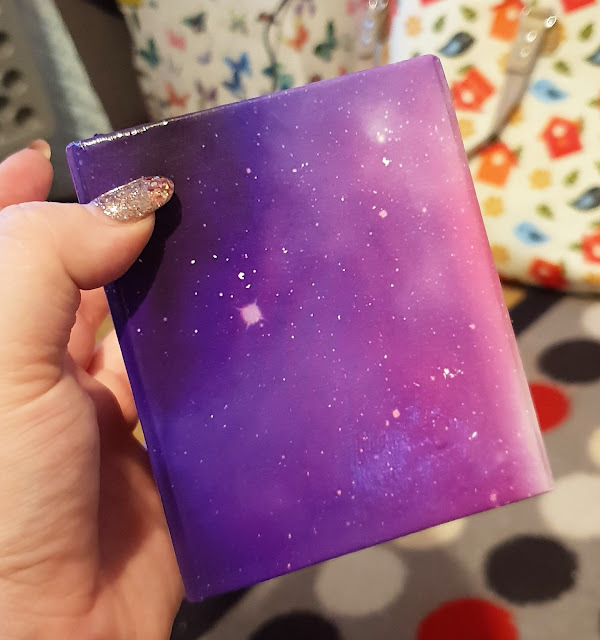 I can never resist a unicorn themed item, either, which is how this Cosmic Unicorn Shower Gel ended up in my basket whilst shopping in Tesco recently. 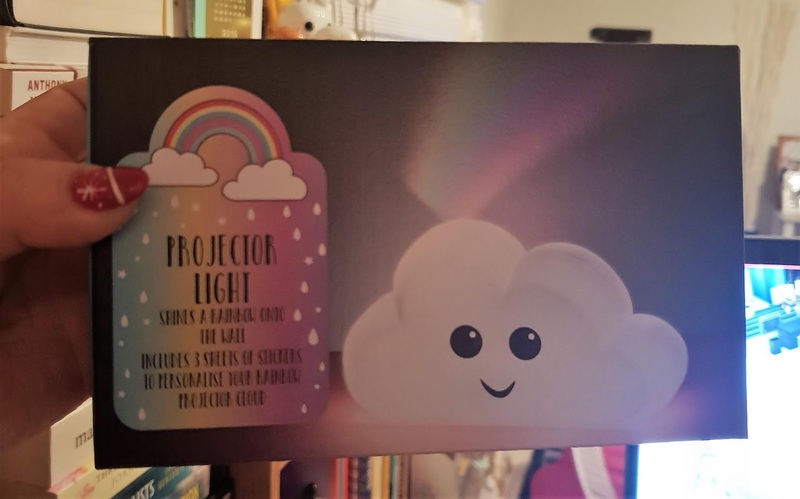 That's also where I picked up this cute projector light which will end up in the nursery when we finally have one! 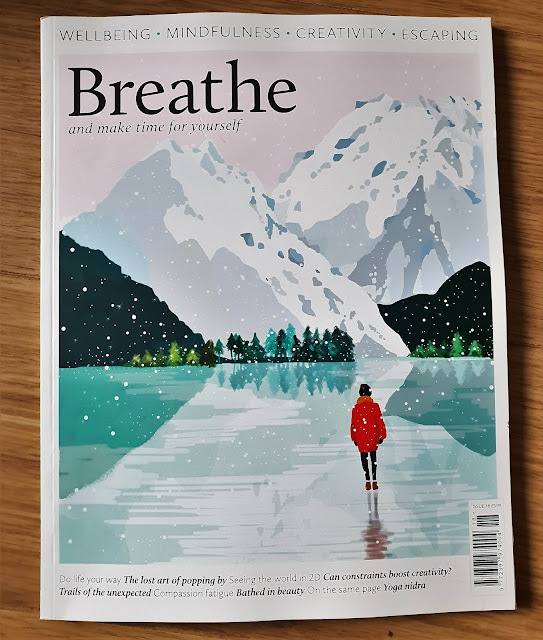 I received some money for Christmas from my grandmother-in-law and took myself off to Primark with it. 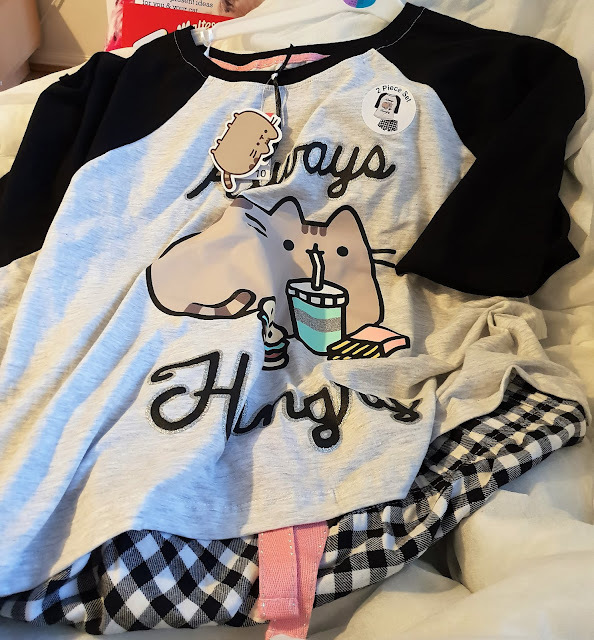 I spotted these cute Pusheen PJs and decided to spend my Christmas money on them! I love Pusheen. And I get so hot at night, even when the temperature outside is sub-zero, that I can really only wear shorty PJs. 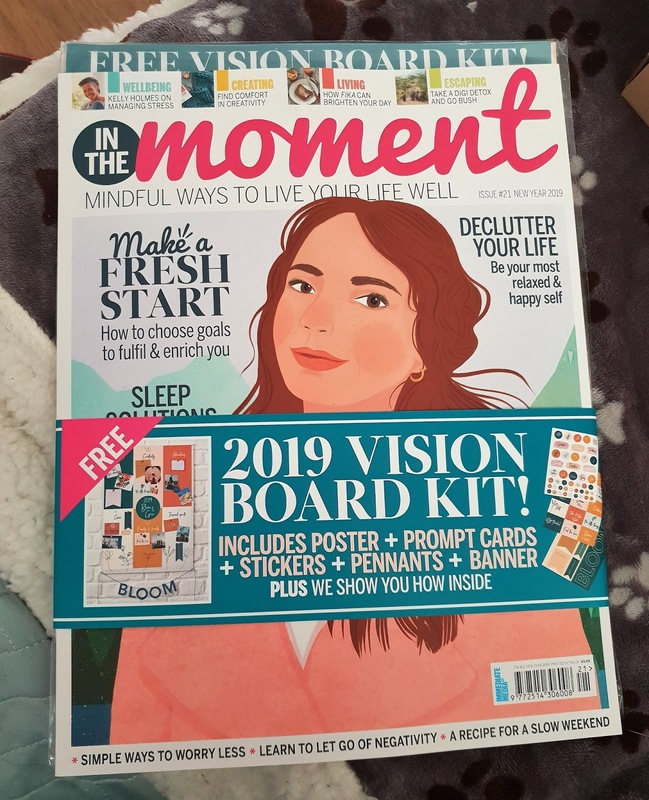 A few more magazines to add to my To Read pile! Breathe and In The Moment are two of my monthly buys, alongside Happiful, Cosmopolitan, Your Cat and Real Crime. And that's a wrap on this week's haul post. 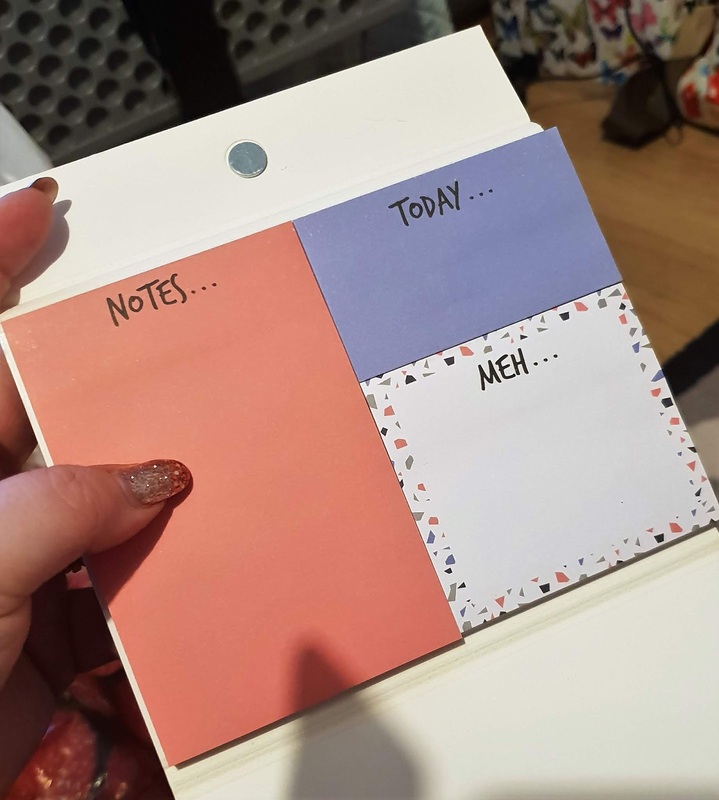 I love the Meh post it notes, haha. I need some of those in my life!